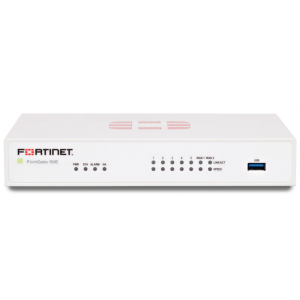 Fortinet’s Remote Wireless Access Points – FortiAP-14C & FortiAP-28C deliver secure, identity-driven WiFi client access that creates a fortified WLAN network for telecommuters or small branch offices which tunnel traffic securely to the corporate network. The FortiAP-14C is a low cost 1×1 MIMO access point with integrated 5 port 10/100 switch in small desktop form factor. This device enables home office connectivity to the corporate network. FortiAP-28C is for larger offices and integrates a higher performance 2×2 MIMO access point with a 10 port Gigabit switch. Centrally managed by a FortiGate® or FortiWiFiTM platform with its integrated wireless controller, these remote APs allow you to deploy a comprehensive, Integrated Security Solution for your wireless and wired networks. The centralized FortiGate controllers enable you to deploy comprehensive Unified Threat Management (UTM) protection over your wireless network. These remote Thin Access Points are useful to enterprises who are looking to increase productivity through uninterrupted access to applications and resources, without compromising security and agility. They also extend your network to your employees’ home offices and increase productivity, yet retain visibility and control of the remote wireless network by enforcing the central policies. They are also easy for the employees to self install or provision quickly. 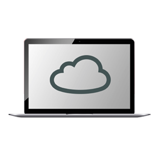 Remote AP – Allows simple and secure teleworker or branch office connection for wireless and wired devices alleviating the need for host VPN agents and complex configuration. 'Single Pane of Glass' Management Console – Unmatched visibility and control of all wired and wireless network traffic that eliminates blind spots in your security infrastructure and ensures consistent and effective policy enforcement and compliance. Enterprise Unified Threat Management – Protects your network with the widest range of security and networking technologies seamlessly integrated into a single device: Firewall, IPS, Application Control, VPN, Web Filtering, and many others.